Simplilearn, India’s leading professional certification and education company has announced its launch in Singapore earlier this week. AsiaBiz Services, Singapore’s leading company formation specialist describes this as part of Singapore’s strategy to embrace more education providers to incorporate in the nation. Having trained over 100,000 students from its study centres in 150 countries, Simplilearn has selected to establish in Singapore with the objective to expanding into the South-East Asian region, and to tap the support the Republic offers to education companies that set up here. “Singapore’s internationally praised education system has carved it as ideal to global education companies to set up operations here, especially in view of the fact that Asia represents about 70% of the international demand on higher education”, asserted Mr. James Nuben, Head of Taxation at AsiaBiz Services. Currently accounting for about 3% of Singapore’s GDP that is anticipated to reach 5% by 2015, the private education sector in the island nation is propelled forward by the rapidly growing global education market. Estimated to be worth US$2.2 trillion by 2025, the demands of the global education market are met by the city-state as it establishes Singapore companies that offers a range of vocational and executive training programmes. Other than professional educational institutes, specialised schools in niche areas such as hospitality management, culinary arts, media, design, life sciences, and cyber security are also encouraged to set up in Singapore. For instance, the establishment of the HMI Institute of Health Sciences in Singapore has catered to the burgeoning demand for healthcare-trained professionals to work in hospitals, while the incorporation of the At-Sunrice GlobalChef Academy has attended to the need for internationally-trained chefs in the country. Apart from welcoming educational companies to set up in Singapore, the country also facilitates the collaborations forged by foreign education institutions with local counterparts. For example, the signing of the Memorandum of Understanding (MOU) by Singaporean education companies Bridge Learning and Republic Education Group with Indonesian education company PT Budhi Lestari late last year has sent ripples of encouragement to other regional education companies to set up in Singapore. The partnership was forged so that the training and expertise of the Singaporean partners can be capitalised to create the necessary networks and infrastructure for the establishment education institutions in Indonesia. Singapore is situated in close proximity to the countries that are the biggest contributors to the international education market, such as India, China, Korea, Japan and Malaysia. It only takes a maximum of 8 hours of flying time from Singapore to access 2.8 billion of the globe’s population. Education in Singapore also poses relative affordability to the 90,000 0r more international students who study here, in comparison to other global education hubs like Australia, UK and USA. 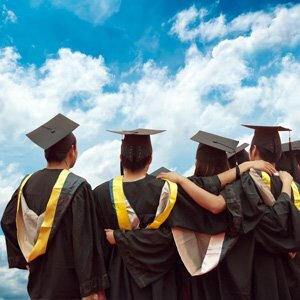 Singapore shines as a centre of international educational excellence because it has a stellar academic reputation, attributed by its highly-developed public education system. World-class Singaporean universities like NUS are encouraged by the Government to collaborate with foreign universities to open campuses in Singapore, such as the Yale-NUS College. Other foreign universities that have established campuses in Singapore include Australia’s James Cook University, Curtin University, France’s INSEAD, and USA’s University of Nevada, Las Vegas. Singapore presents a cosmopolitan society that is not only safe and secure to international students with low crime rates and virtually zero natural disasters, but also one that is technologically progressive. The East-meets-West society that thrives in the city-state enjoys a widespread perception of desirability due to the ease to live and learn in Singapore. The use of English as a main medium of communication and instruction in Singapore is also seen highly favourable by the international education market. “Singapore’s stable economy, excellent infrastructure, strategic location, and multi-ethnic society makes it remarkably attractive for foreign education companies to set up here”, asserted Mr. James Nuben. Ready to start an education company in Singapore? Singapore Keen to Attract UK Technopreneurs to Incorporate in Singapore Gaming Companies Favour to Collaborate with Singapore Recent Legislative Changes to the Singapore Companies Act and Limited Liability Partnerships Act Can I use CPF for Education Scheme?